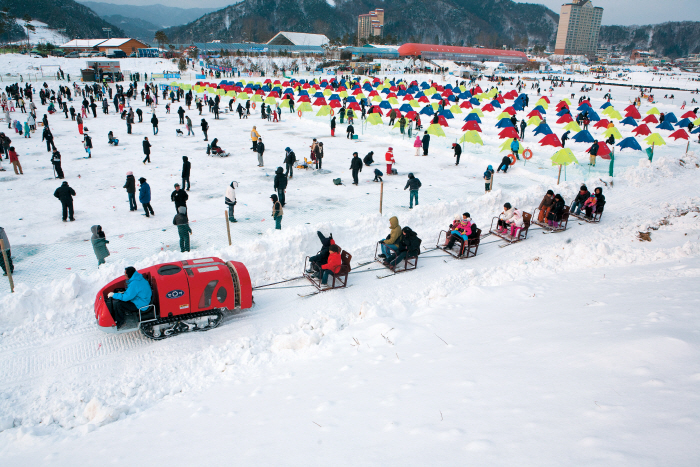 The Pyeongchang Trout Festival takes place during winter in the town of Jinbu-myeon in Pyeongchang-gun district. Visitors to the festival can enjoy a variety of programs including ice and lure fishing for trout, snow programs, ice programs, folk programs, and more. 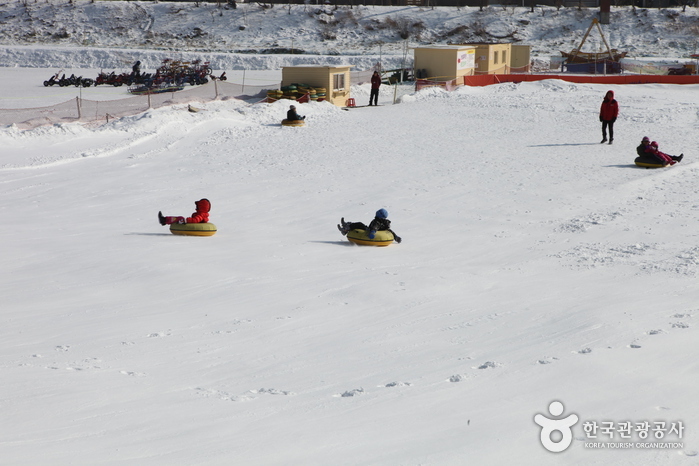 There will also be traditional folk games including sledding and top spinning, and visitors can try out sports such as riding 4-wheel ATVs, snow rafting, and sleigh trains. Any trout caught from ice fishing and lure fishing can be prepared right away at a nearby restaurant. 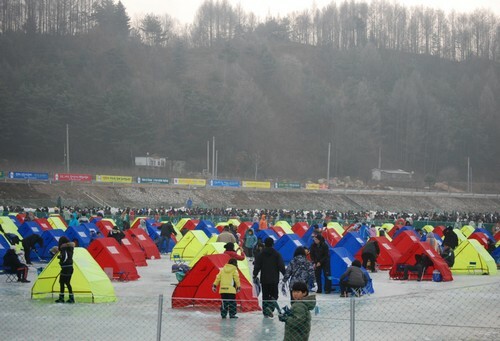 Trout farming first started in Pyeongchang due to its cold, clear waters. Trout offers plenty of nutrition and offers great taste and texture when prepared raw. 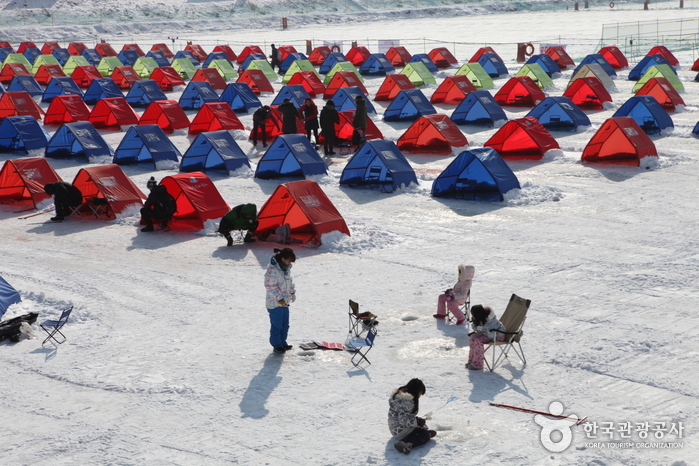 * Ice fishing availability depends on ice conditions. 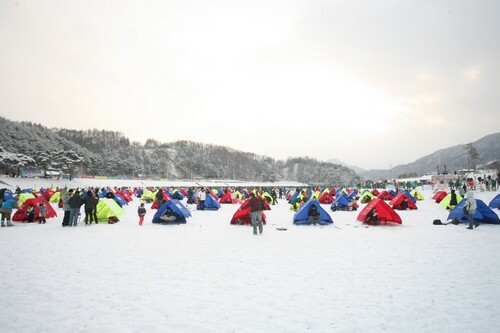 * Other facilities excluding the ice fishing site are available to use. 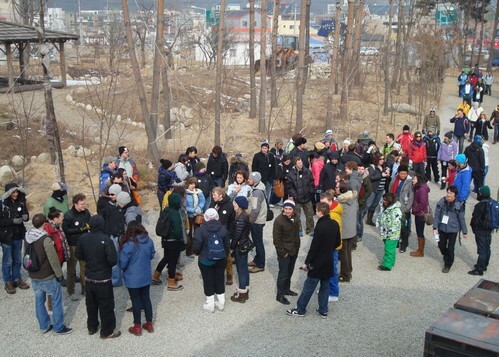 Admission to the fishing site is on a first-come, first-served basis; no admission allowed after the determined number of people have been admitted. 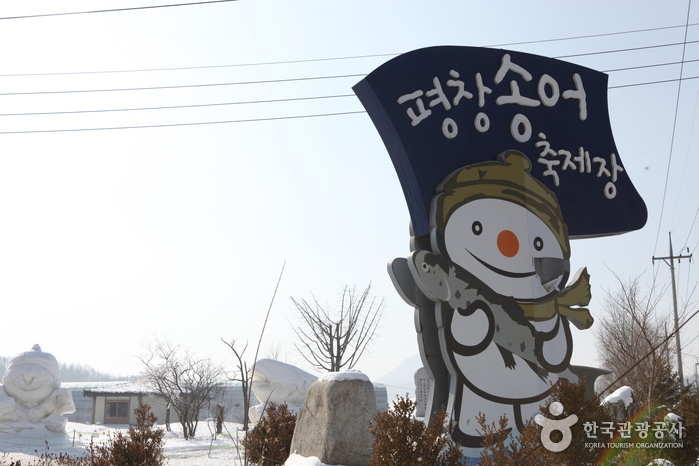 From Dong Seoul Bus Terminal, take an intercity bus to Jinbu (진부). 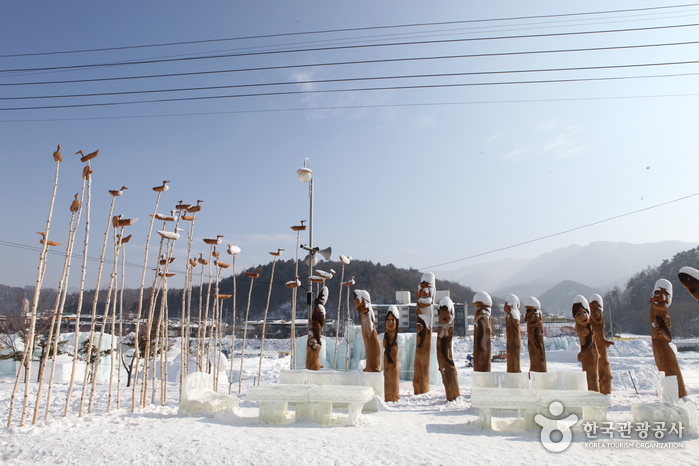 Odaecheon Stream is a 7-min walk from the Jinbu Bus Terminal.